Another book we’ve just finished and the girls loved it! 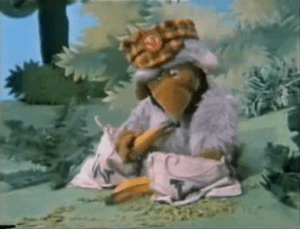 As did I – I loved the Wombles when I was little, particularly because I was born very near Wimbledon Common so I thought that practi cally made me a Womble! I remember as a child that the Wombles inspired me, my sisters and our neighbour to pick up litter and generally tidy up round our village too. The Big One and I spent a very happy half hour watching the Wombles on YouTube too and despite the old style animation, it was a big hit. Both girls have been singing the theme tune ever since. Neither liked the Wombles Christmas appearance on Top of the Pops in 1974 though. Before my time (just!) but I remember seeing it as a child and finding it a bit creepy. What made my lovely husband laugh was how overly friendly the attractive teenage girls were with Noel Edmonds! Doofball mm neon rider! I used to watch The Wombles when I was younger. Still do sometimes if it weren’t for a hopeless box or basket which has hidden away the DVD. Mum must have put it there (or Dad). Can’t wait for the trip in four days or five in your case. Will (or Rose). your cousin Grant was a big fan of the wombles and on visit to Nan and Grandads we all went on an adventure to wimbledon common to see if we could find a sighting of them no luck Grant was very disapointed both you and Susie were in pushchairs at the time and I have pictures of you all somewhere. Both girls want to go to Wimbledon Common to find the Wombles when we’re next home. Your in charge of the search as I told them you used to live near there. Apparently there is a Wombles colony in the USA so we’ll have to find that one too!